Tired of living with pain in Bergen County NJ? Explore Your NON-SURGICAL ORTHOPEDIC Options Even If You Are “BONE ON BONE”! Joint pain, arthritis, and neuropathy can be severe and can lead to immobility and the inability to enjoy all that life has to offer. BUT IT DOESN’T HAVE TO BE THAT WAY! Our proven treatment programs offer incredible pain relief without the use of drugs or surgery. 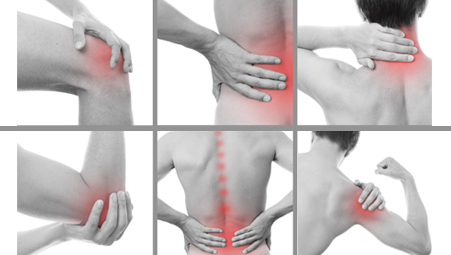 Our integrated one-on-one approach can bring remarkable pain relief. We have successfully treated over 10,000 patients. You can be next! You do not have to continue living with pain or illness. With all the tools and treatments we have to offer you can receive the care you need to achieve optimal recovery. The medical information on this site provided by me and MedWell doctors and staff are for helping people to understand the mechanism and functional approach to chronic conditions. Hundreds of our patients have been helped with our comprehensive approach to addressing chronic conditions. Among multiple drug-free ways to address your symptoms that our doctors provide, we usually recommend and provide nutritional supplementation as an adjunct to medical treatment. The nutritional supplementation recommended is designed to support overall health, your body function and well-being and not to treat or cure any medical illness, disease, or condition. For more information or to see if you might be a candidate for these breakthrough treatment programs, search for more information on our site then give us a call to schedule an appointment for a same day consultation and help. Our team of doctors will assess you individually and formulate a diagnostic and specific treatment plan based on their areas of expertise and discipline. We provide orthopedic evaluation to many residents of North Jersey: Towaco, Rutherford, Alpine, Nutley, Leonia, Sparkill, Carlstadt, Caldwell, Verona, East Rutherford, Butler, Piermont, Englewood Cliffs, Palisades Park, Montville, Bloomfield, Montclair, Nyack, Ridgefield, Glen Ridge, Yonkers, Fort Lee, New City, Pine Brook, West Milford, Essex, Fells, Pomona, Belleville, Bronx, Ardsley-on- Hudson, Lyndhurst, New York, Valley Cottage, Hastings-on- Hudson, Fairview, Dobbs Ferry, North Arlington, Cliffside Park, Roseland, Secaucus, Lake Hiawatha, Edgewater, Irvington, Boonton, West Orange, North Bergen, Kearny, East Orange, Newark, West New York, Hewitt, Orange, Parsippany, Southfields, Union City, Kearny, East Hanover, Weehawken, Newfoundland, Mountain Lakes, Harrison, Livingston, Jersey City, South Orange, Hoboken, Rockaway, Whippany, Maplewood, Mount Tabor, Denville, Millburn, Oak Ridge, Hibernia, Bergen County, Passaic County, Rockland County, and Morris County. Orthopedic care does not necessarily require orthopedic surgery or an orthopedic surgeon. Our individualized and customized orthopedic assessment is geared towards non- surgical orthopedic treatment for our northern NJ patients.